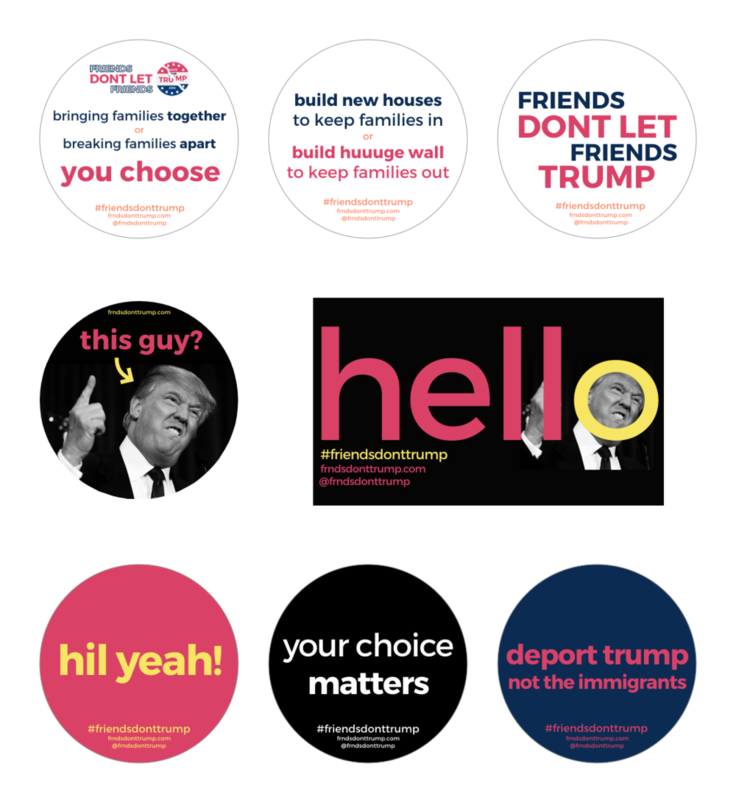 friends don't let friends vote for trump was a campaign 361º worked on to "cover the walls" with stickers to support hillary clinton in her race for presidency. 361º was tasked with designing everything from the swag to the website it was sold on. for the website, the main focus was stickers. so, 361º utilized a minimal design approach to showcase the bright and vibrant designs. 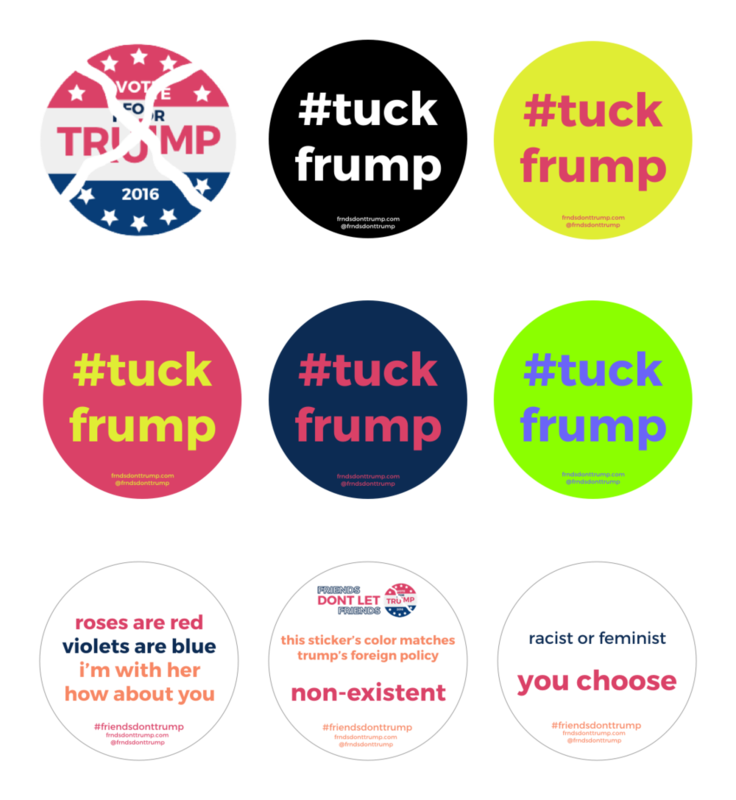 for the stickers, 361º needed to create designs that would not only draw attention but convey a message. by using colors that popped and words that struck a nerve, 361º was able to do just that. although the website has since been taken offline, one can see the stickers designs below and the website design underneath. 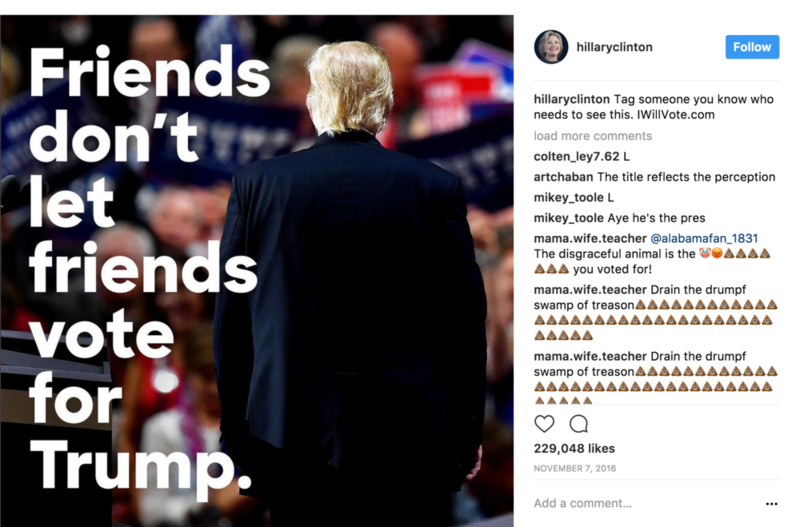 celebrities all across the country, including hillary clinton herself, promoted friends don't let friends vote for trump and created the viral growth that it experienced.